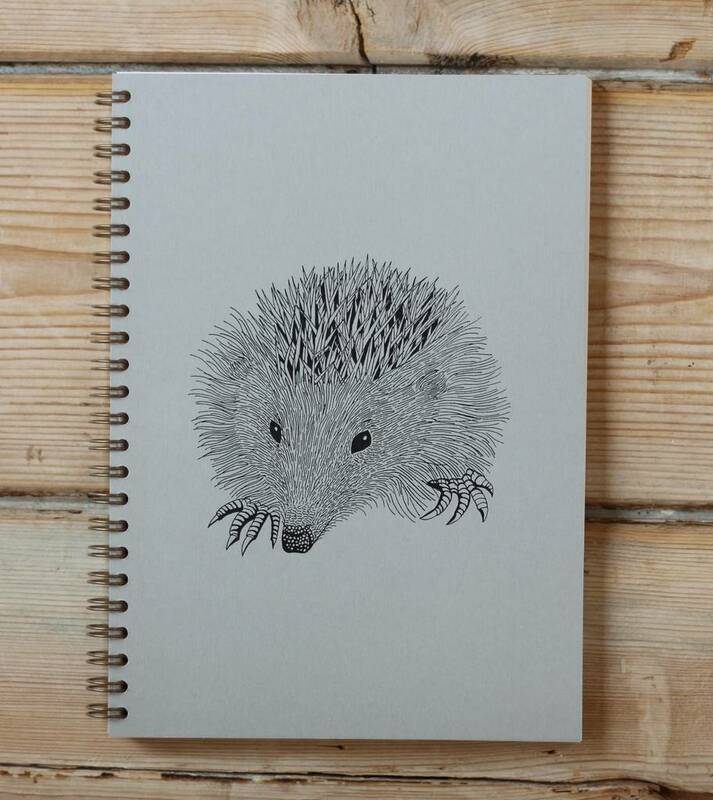 A beautiful notebook made from luxury papers, featuring a Hedgehog taken form an original drawing by 'Bird'. 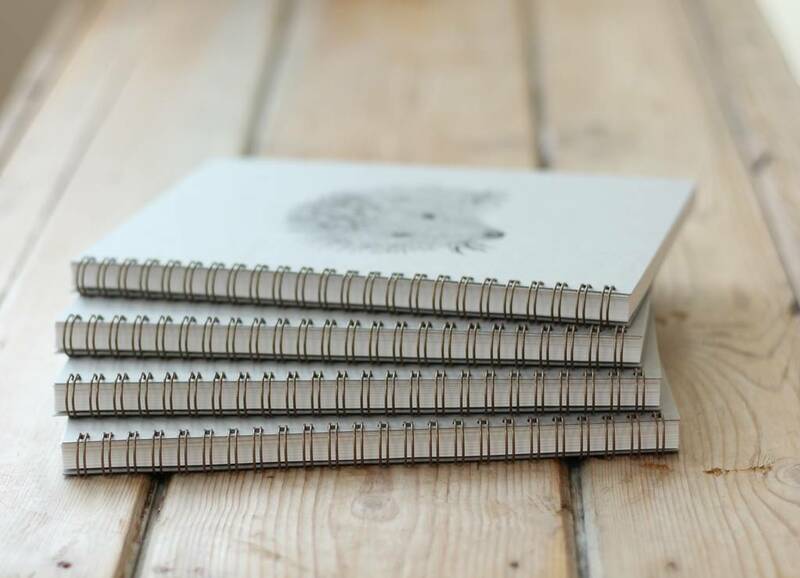 The notebook front and back covers are printed on a 330gsm real grey smooth board, the 48 pages are a luxury 120gsm pearl writing paper, blank pages (notebooks often feature 80gsm pages). Bound with a bronze spiral. 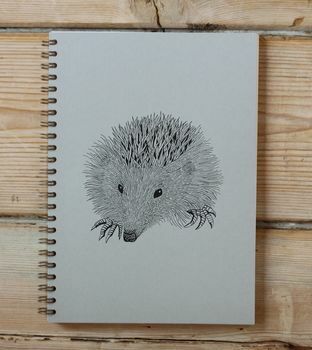 The cover features a Hedgehog taken from an original drawing by Bird. The notebook comes in a cello bag and is sent in a hardbacked envelope. This product is dispatched to you by Bird.